The Dolphin fiberglass pool model is another member of our Grecian Pool Shape family. This swimming pool offers a classic approach to the Grecian pool shape and includes a Sport Bottom Hopper with a dual set of Shallow End Steps. Similar to the Caesar’s Palace, the Dolphin is another member of our Grecian Pool Shape family, but with a slightly different twist. Rather than deviate from the classic Grecian shape, similar to The Caesar’s Palace, the Dolphin instead follows the classic Grecian pool design. 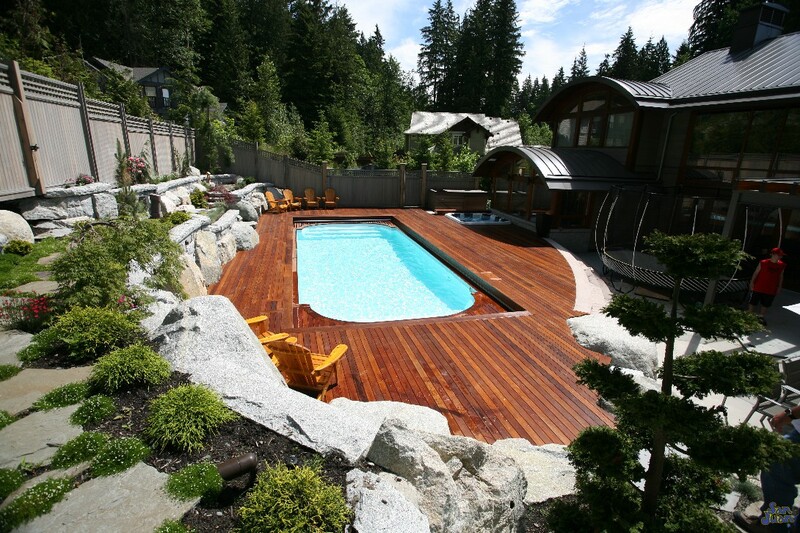 Our Dolphin includes a 33′ 1″ rectangle layout with large bowed ends that provide elongated Shallow End Steps. These steps are perfect places for guest and family to rest and relax and create great spaces to enter and exit your fiberglass swimming pool. Secondly, the Dolphin’s Sport Bottom Hopper (deep end located in the middle) provides a great place for pool games. The Dolphin is a very popular sport pool and is often used for pickup games of pool Volleyball & Basketball. While your enjoying some recreation time, don’t forget that the Dolphin is also a great swimming pool for lap swimming! 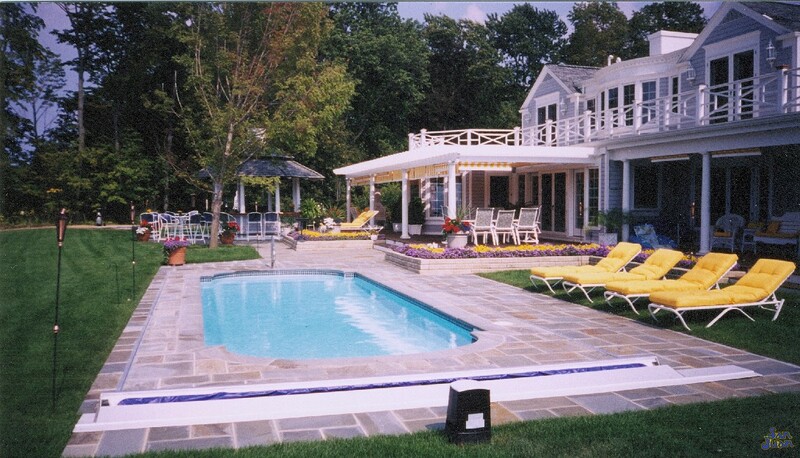 We suggest pairing this fiberglass pool with an automated pool cover (shown in the image above). 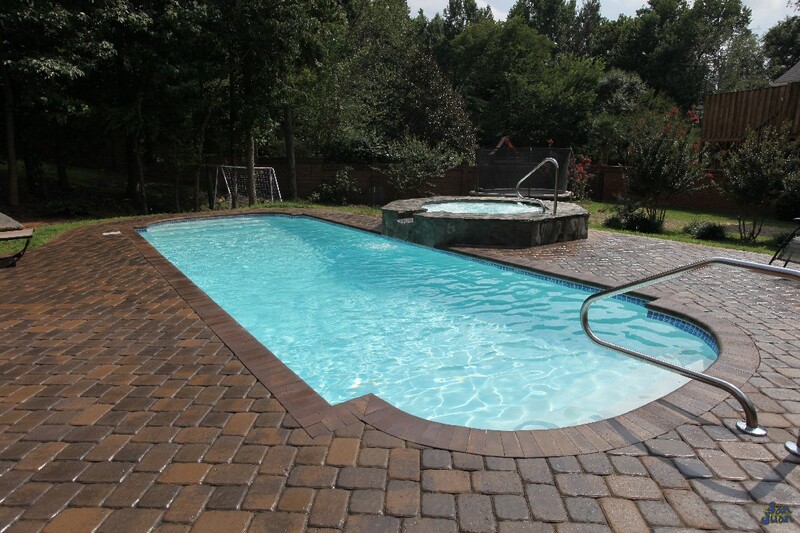 Automated pool covers are excellent ways to keep the leaves out of your pool during periods of non-use. This is an excellent tool to keep the pool clean between swim sessions for recreational swimmers. Lastly, The Dolphin creates a large amount of deck space that is excellent for sun bathing and generates ample room for outdoor furniture. A consistent depth all around this pool gives the users an even space to enter and exit the pool easily and cool off from the heat of the afternoon. As we’ve already covered, The Dolphin is a great swimming pool for recreational activities as well as relaxing pool side. If you’re looking for a classic pool design that is highly versatile yet classic and simple, the Dolphin is perfect for you! 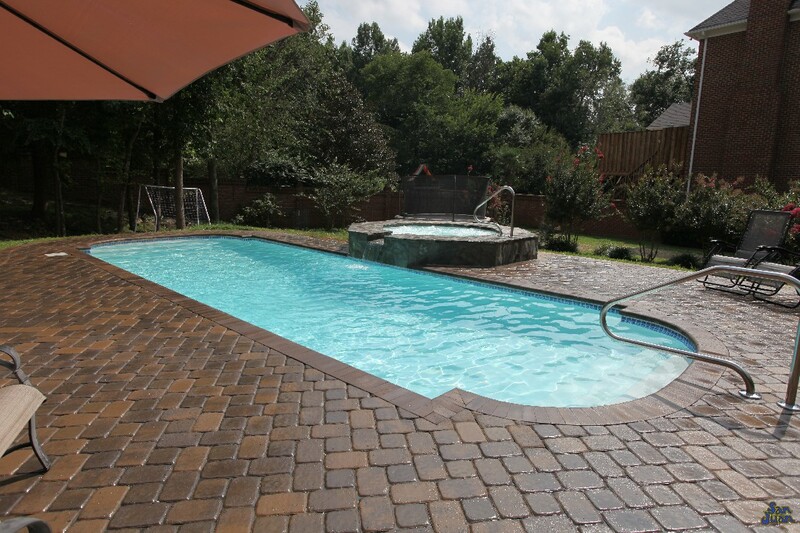 This is a great option for active families that want to enjoy the fine arts of lap swimming, pool games with a large open deck space for large parties and events. The Dolphin is sure to amaze both you and you’re family and we’re proud to offer it to our San Juan Pools clients!